It is a select few North Carolinians that can call themselves recipients of the prestigious Order of the Longleaf Pine. The award was created in 1965 and is among the highest honors bestowed upon civilians who have proven record of service to the state of North Carolina. 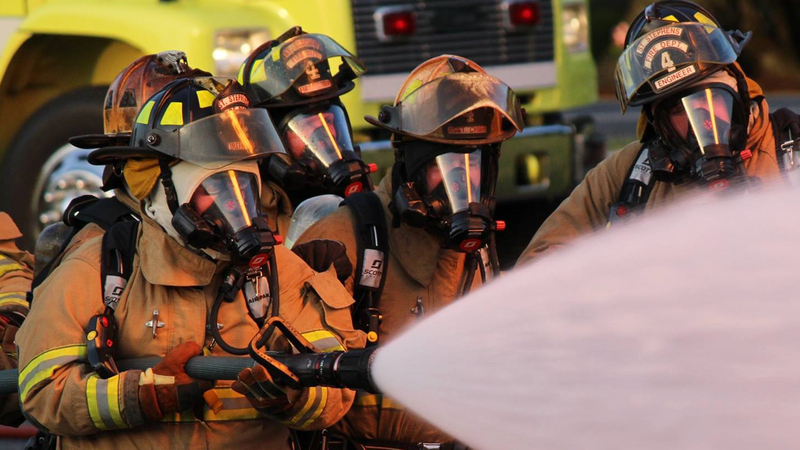 This honor is not something awarded very often and the North Carolina State Firemen’s Association had not one, but two recipients in one evening during the 2013 NCSFA Annual Award Banquet. The first recipient of the award was Timothy L. Bradley (pictured above). Mr. Bradley recently retired after 28 years with the State of North Carolina and was presented his award by the Insurance Commissioner, Wayne Goodwin. 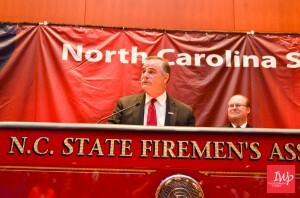 After Tim’s retirement from the State, he was appointed as the Executive Director for the North Carolina State Firemen’s Association. He was very humbled and honored to receive the award and is proud to join the ranks of the past recipients. The evening’s second recipient of the Order of the Longleaf Pine award was Paul F. Miller (pictured above). 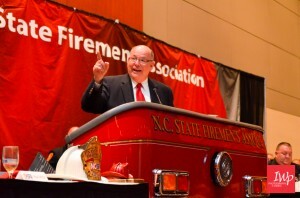 August 11, 2013 marked Mr. Miller’s official retirement date from the North Carolina State Firemen’s Association after 23 dedicated years at the helm of organization. Paul was presented with his award from Tim Bradley, who took over as Executive Director that night after Paul’s official retirement. Paul modestly told the almost 500 attending the banquet that he was wonderfully surprised and very grateful to receive such a great honor and to be included in the ranks of it’s previous honorees. Special recognition and congratulations should be given to Tim Bradley and Paul Miller for receiving such an extraordinary honor. They are two of North Carolina’s most ardent champions of the fire service and have dedicated much of their lives to it’s betterment.